Hurry, just 6512 more of these left at this price! This spring loaded locking blade guillotine cutter is pretty cool! 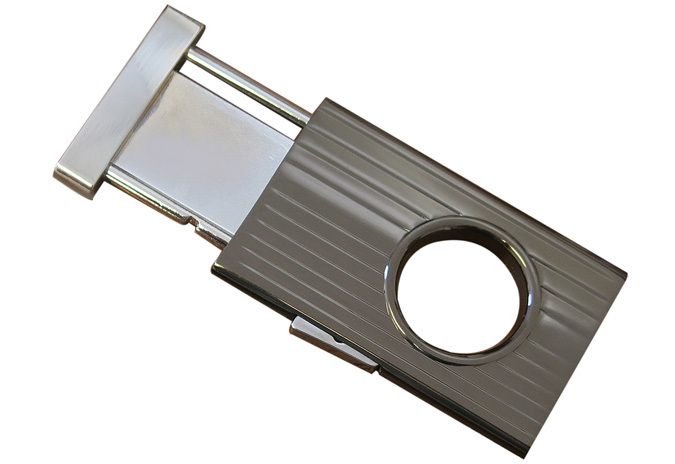 Push the button on the side of the cutter body and the blade springs open. Squeezing the cutter shut executes the cut and locks the blade in place. Features a distinctive gun metal gray and chrome polished finish and an embossed linear design motif through its center body. 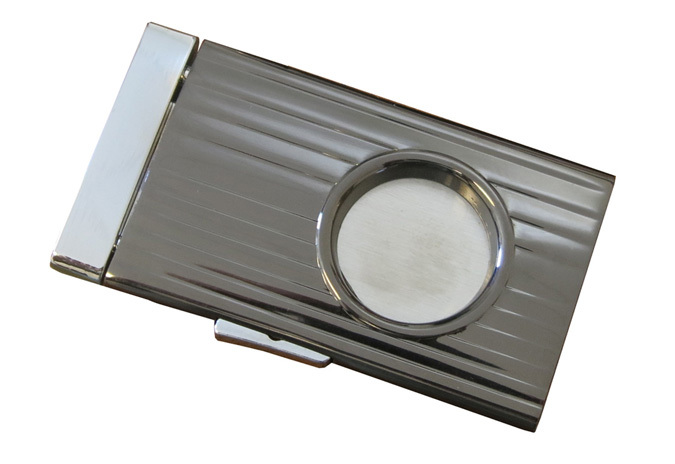 This unique cigar cutter comes in a black gift box and makes for the perfect accessory gift for the cigar smoker.